These research-grade adapters provide superior image quality, low price, and excellent camera stability for mounting digital SLR and other large format sensor cameras to microscopes. A wide variety of cameras are accommodated using the industry standard camera T-mount adapter, while the bottom of the adapter ensures a solid fit to your microscope’s photoport. Please check our online Adapter Matching Guide to obtain the catalog numbers for the adapter and T-mount that will work with your particular camera and microscope model. Visit the SPOT Market Webstore with your catalog numbers to make a purchase. The 1.2x digital SLR adapter provides a wide field of view for cameras with large format sensors up to 25 mm in diagonal. The 1.2x adapter is ideal for the 4/3″ format of the Olympus E series digital SLR cameras. 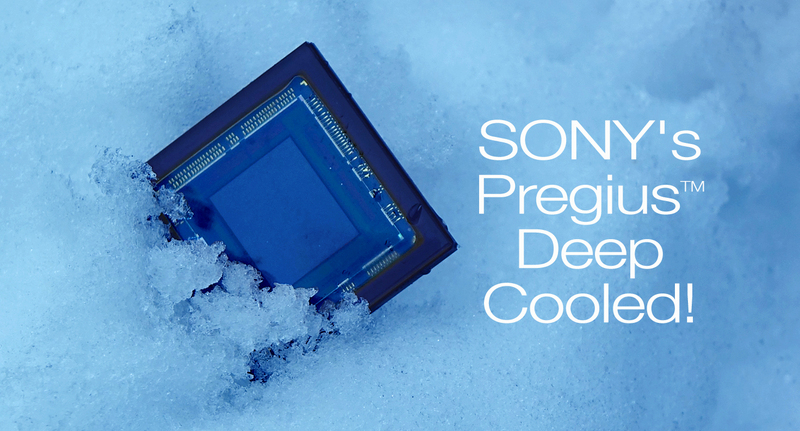 The 2.0x version supports sensors up to 41 mm in diagonal and is ideal for the APS-C and APS-H sensors used in the Canon EOS Rebel, 50D, 60D, 7D, 1D Mark III, Fujifilm Pro, some Sony Alpha cameras, and the Samsung cameras. The 2.0x version is also recommended for the DX sensor in the Nikon DX SLRs, and the Foveon X3 sensor in the Sigma cameras. The full frame APS-F sensor size is supported with the 2.5x version. The full frame sensor is used in the Nikon FX, Canon EOS 5D Mark II, and Canon 1Ds Mark III. The digital SLR adapters can also be used to provide higher magnification for cameras with 1/2″, 2/3″, or 1″ format sensors. 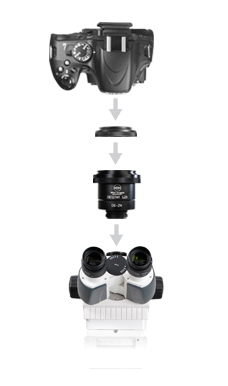 The digital SLR adapters add magnification from 1.8x to 8.0x depending on the sensor and adapter used. Virtually any camera can be mated to these adapters through an industry-standard “T-Mount” thread adapter. T-mounts are available for Canon EOS, Sony-Minolta, Four Thirds Olympus Mount, C-Mount, Sigma SA/SD Mounts, Nikon F-Mount and Samsung-Pentax K Bayonet Mount lens mounts, among others.